You are important to us! Know that we want to make your post operative care as comfortable and pleasant as possible. Take advantage of some of our most frequently asked questions regarding your post operative care. Feel confident contacting us if you have any additional questions that are not answered here, as we are always happy to assist you! Q: When should I call the office after having an extraction, scaling and root planing, root canal therapy, or a temporary crown? A: Typically, it is recommended to call our office if you have heavy or increased bleeding, pain, or swelling that increases and/or continues beyond 3 days, a bad taste or odor in your mouth, a reaction to the medication prescribed, a temporary filling or crown that comes off, a bite that feels uneven, or any questions or concerns. 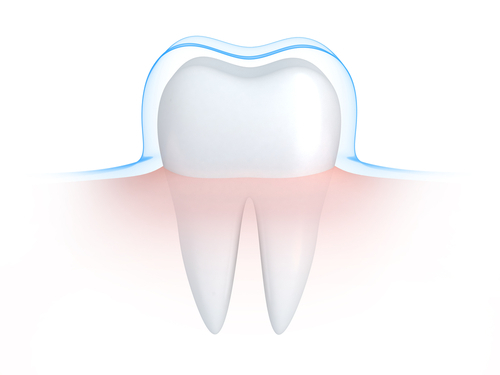 Q: How can I control discomfort after having a dental procedure such as an extraction, scaling and root planing, root canal therapy, or a temporary crown? Take pain medication (such as Ibuprofen, Tylenol, or Motrin) before your anesthetic has worn off. Continue taking all prescribed antibiotics until they are completely gone, even if all of your symptoms or signs of infection are gone. Rinse your mouth with salt water two to three times a day. The salt water will help reduce any swelling. It is recommended to use one teaspoon of salt with one glass of lukewarm water, gargle, rinse, spit, and repeat until the entire glass is empty. Avoid tobacco for 72 hours as it slows down the healing process. Q: Should I avoid chewing or eating after a dental operation? A: Avoid chewing, eating, and hot beverages until the anesthetic has worn off, as this will help prevent accidental injury. The anesthetic may cause your mouth to feel numb for several hours. If a temporary filling or crown was placed, avoid eating sticky, chewy, or hard foods by chewing on the opposite side of your mouth…it is important that the cement has time to set properly. After scaling and root planing, avoid eating for at least two hours, and maintain a soft diet for the first 48-72 hours. Q: What should I do during the first 24 hours after having an extraction to help speed my healing? Avoid spitting or sucking through a straw. Avoid candies, chewy or sticky foods, hot or carbonated beverages, hot or spicy foods, and alcoholic drinks. Try to avoid coughing or sneezing by having any sinus or allergy medication on hand. Participate in calm activities only and avoid stress. Elevate your head when you lie down to reduce bleeding. Avoid rinsing your mouth and do not brush or floss next to the site. Bite on a gauze pad firmly for 30-60 minutes to help protect the blood clot and prevent dry socket. Repeat with a clean gauze pad if profuse oozing is still evident. Remember, when blood mixes with saliva it can appear that there is more bleeding than in reality. The site may bleed for up to 24 hours. Apply an ice bag to the area, 10-20 minutes on and 10-20 minutes off. This will help reduce any swelling. Avoid aspirin or products containing aspirin as this may prolong bleeding. After the numbness has worn off, drink a lot of fluids, eat soft nutritious foods, and chew on the opposite side of your mouth. Q: What should I do after the first 24 hours after a tooth extraction? A: Return to brushing and flossing normally, reduce soreness and swelling by applying moist heat, gently clean the site for about 1 week, and call us if you have any questions or concerns. Q: How can I best care for a temporary filling or crown to avoid damage? Avoid hard, chewy, or sticky foods (including gum). Chew on the opposite side of the mouth. Call us if your temporary crown comes off or if the entire temporary filling wears off or breaks away so we can replace it. The “temporary” needs at least 30 minutes for the restoration to harden and set properly, so avoid eating or drinking during this time. Q: When can I resume brushing and flossing normally? After an extraction, you can begin brushing and flossing normally after 24 hours while cleaning gently around the site for approximately 1 week. After root canal therapy, you can begin brushing and flossing normally immediately. Normal brushing and flossing consists of two to three times a day. After scaling and root planing, you can brush gently the first night while using warm water to soften the bristles. The next day, you can begin flossing the area lightly and return to normal brushing and flossing slowly over the next week. Use toothpaste for sensitive teeth if you notice your teeth are sensitive to hot or cold temperatures and/or pressure. Avoid mouthwash that contains alcohol. If a medicated mouthwash was prescribed, use it is directed. After a temporary crown, you can brush normally immediately and floss gently with caution as to not remove the temporary crown. Use toothpaste for sensitive teeth if you notice your teeth are sensitive to hot or cold temperatures and/or pressure. If sensitivity continues beyond 3 days, kindly contact our office.